A couple years ago I came across this picture on Pinterest. In Gudvangen I checked in to my hostel, then hightailed it to the tourist office where I hoped to get directions to this incredible viewpoint. The first sign that something was amiss was that this pointy mountain was completely absent from the posters and brochures in the office. Given its significant internet popularity, one would have expected the view to be splashed across everything in sight. “I’m pretty sure that’s up in the Lofoten Islands,” the young Norwegian said, with a hint of amusement in his voice. In disbelief, I showed him the results when you Google Gudvangen. “There it is! The main photo for Gudvangen on Google!” I said with vindication. I insisted that Google, and not this Norwegian, must be ultimately correct. He shook his head apologetically. Nope, not here. 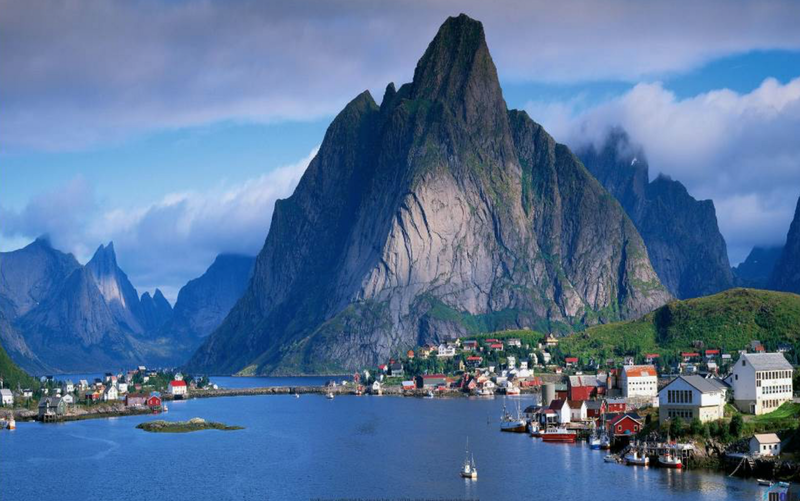 Wanting to solve the mystery, he did a little more digging until he determined its true location: Reine, a village 1000 miles away in the Lofoten Islands. 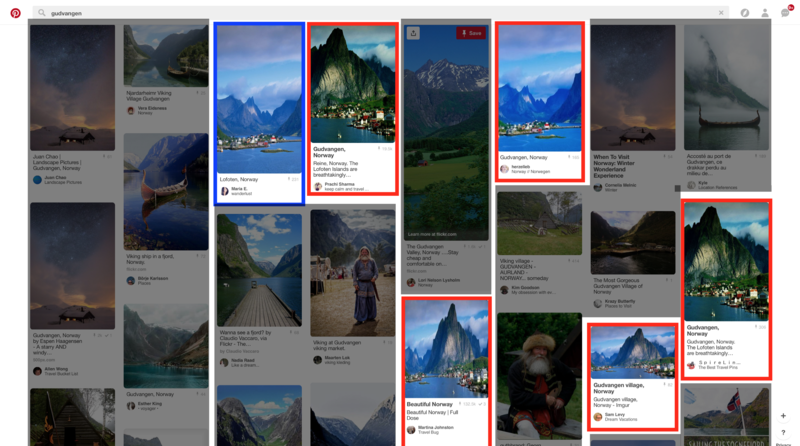 A place whose name is attached to one of the images (outlined in blue) in the first page of results for ‘Gudvangen’ on Pinterest. One of the the photos is confusingly labeled with both locations, but most indicate this photo is taken in Gudvangen. “But hey,” the tech-savvy reader might say, “that’s just a self-fulfilling prophecy! 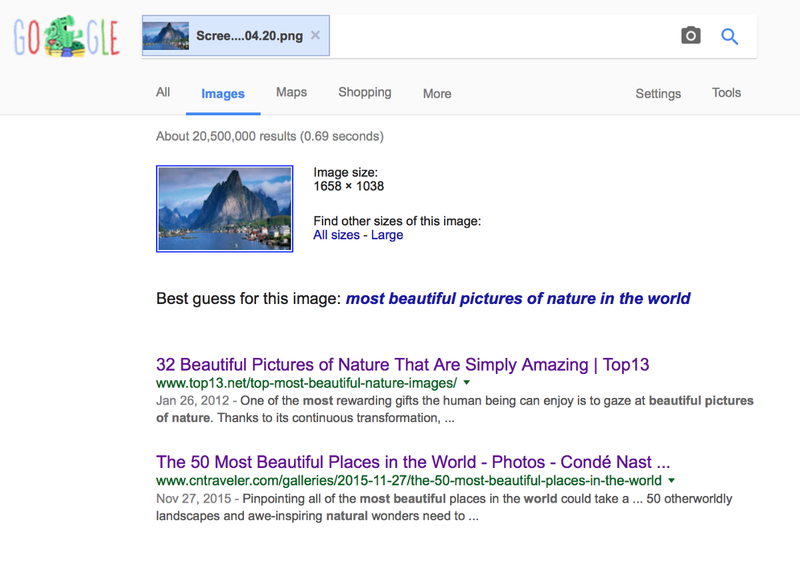 Why not try searching by image? An excellent idea, to be sure. Unfortunately, the results are equally inconclusive. Although this image seems to appear on two lists of beautiful places, it is in fact nowhere to be found on either site—as if the uncertainty surrounding the picture’s provenance eliminated it from inclusion at some point. See for yourself, on CN Traveler. Nærøyfjord, one of Norway’s most popular 2017 tourist destinations is a fjord formed when a glacier retreats, after carving its typical U-shaped valley, and the sea fills the resulting valley floor. Norwegian Fjords cruises are fantastic ways to explore magical fjords, beautiful islands, crystal clear waters, fantastic food, among other things. However, there are steps you can take in order to ensure you get the utmost enjoyment from your relaxing cruise holiday. Success! Now fewer future travelers will face the same fate that I did, 1000 miles from the photo they flew 5000 miles to take. (Yes, the image is still mislabeled across the internet, but this is a big step in the right direction.) And who knows, perhaps this whole thing never would have happened 30 years ago, when I might have seen a picture in a guidebook to Norway or on the wall at a travel agency, both of which would have been more reliable sources of information than the internet. But this is the world we live in, when misinformation, even something as innocuous as a mislabeled photo, can spread like a virus as people re-pin and re-post, helping a simple slip-up become our collective truth.